Delivering the tribunal’s ruling, The Punch reports that the CCT chairman conceded to the request for a short adjournment till February 13 for hearing of application. 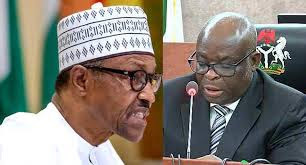 Umar, however, said Onnoghen’s presence at the next adjourned date was necessary for him to take his plea. He said no application would be taken on his behalf if he failed to come and take his plea.